Whether we know it or not we live in a pagan world.. Paganism derives from classical Latin pagus: "unlearned", and in Roman military thought a, "civilian" . If this is so then anyone on who's not in the armed services is a pagan. So technically speaking most of us are pagans. Even though pagans have been nullified by religions and given a bad rap people all l over the world go about their business and then are happy to take the day off on their holy festivals. When families gather at Christmas time, and celebrate around Xmas trees, roll eggs at Easter, or dance on May Day, they are celebrating days associated with ancient gods and goddesses so in this sense they are polytheistic too. Zecharia Sitchin argues in his book," The Cosmic Code" that gods were honored by naming the constellations after them. Thus, the Sumerian god EA, ("Whose Home is Water") was honored by the zodiacal signs of Aquarius and Pisces, and the "priests were dressed as Fishmen which is reflected in the Pope's miter. His brother Enlil was honored by the sign of Taurus. 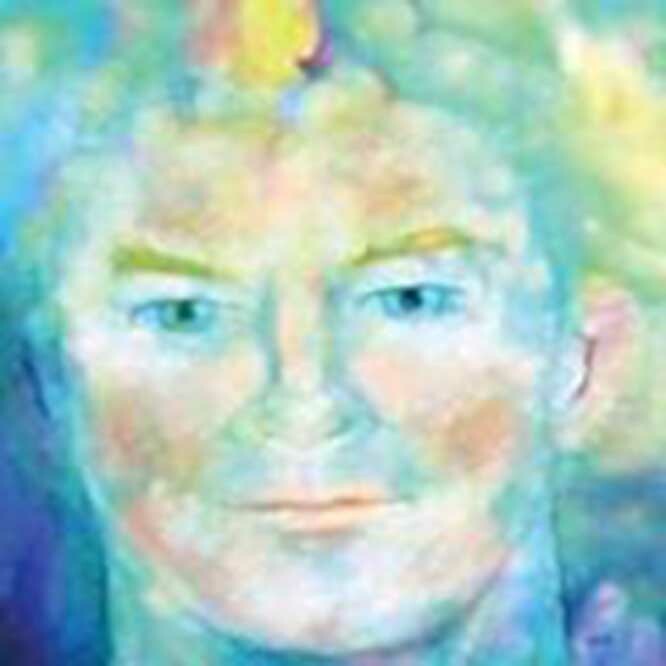 Ninmah was Virgo. The warrior Ninurta was Sagittarius. All in all the zodiac is a family affair; all the twelve zodiacal constellations were assigned to Anunnaki royalty. Perhaps Wednesday should be renamed Quetzalday in America! Every Wednesday--the day of the Germanic god Wodan later known as "degreesin and equivalent with Thoth --should be celebrated because it is truly the day of the creator. Why? Because Thoth, under his Sumerian name Ningishzidda, literally created the human race with his father Enki. His Latin name, Mercury is based on Dies Mercurii, "Day of Mercury"; compare: French Mercredi, Spanish Miercoles, Romanian Miercuri and Italian Mercoledì. Wodan and Mercury were considered psychopomps, or leaders of souls, The Romans found numerous similarities between Woden and Mercury as both, like Jesus, acted as psychopomps guiding the souls of the dead; both were known for their wisdom cunning and trickery; and both, for obvious reasons, had their roots as gods of fertility. Thoth/Hermes/Mercury/Woden/Odin/Quetzalcoatl,were messenger gods whose divine foresight created the Emerald Tablets, the Tarot, the Runes and the Mayan Calendar. Quetzalcoatl was known in Peru as Amaru the origin of the word America. Amaruca is, literally translated, 'Land of the Plumed Serpent.' 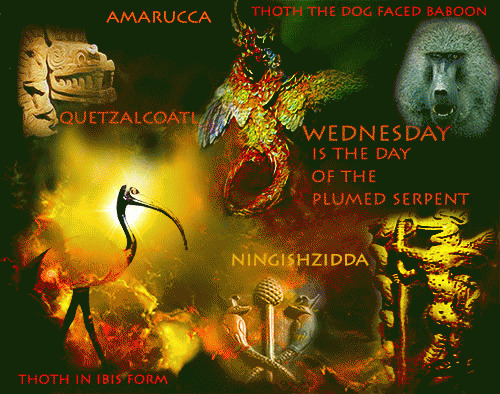 Thoth as Quetzalcoatl is the Savior of the Americas.